Assigning the correct codes for percutaneous breast procedures became simpler and yet somehow more challenging this year. The codes for biopsies and localization procedures now include all of the imaging required to perform the procedure, and the biopsy codes include placement of localization device(s) and specimen imaging, if performed. While the bundling of these services appears to make coding easier, these codes create new coding questions and challenges. Percutaneous breast procedure codes now include both the procedure and the imaging guidance required to perform the procedure. The surgical procedure codes for breast biopsies (19102 and 19103), needle wire localization (19290 and 19291), and clip placement (19295), and the stereotactic and mammographic guidance codes (77031 and 77032) were deleted and should no longer be assigned for services. There still are some procedure codes, such as fine-needle aspirations and cyst aspirations, that don’t include imaging by definition so the surgical and imaging codes are separately assigned. Percutaneous breast biopsies can be performed utilizing various techniques, including needle core, stereotactic, rotating biopsy device, or vacuum assisted (eg, Mammotome). Ultrasound, MRI, and stereotactic guidance typically are employed to perform breast biopsies, so the new codes address only these imaging modalities. The new biopsy codes for percutaneous image-guided needle core breast biopsies include Mammotome, ATEC, ABBI, and other vacuum-assisted or rotating devices. • image guidance (eg, 76942, 77002, 77012). When assigning the procedure codes, remember that when more than one biopsy is performed using the same imaging modality, the add-on code should be used. If two lesions are biopsied using different imaging modalities, whether in the same or opposite breast, two base codes are assigned, one for each modality utilized. The add-on codes may be assigned only when the same modality is utilized for separate and distinct lesions in the same breast. For example, if an ultrasound-guided needle core biopsy of two lesions in the patient’s left breast with placement of localization clips and an ultrasound exam of the biopsy specimens was performed, procedure codes 19083 and 19084 should be assigned. The biopsy codes are unilateral by designation, so if bilateral procedures are performed, modifier 50 should be assigned unless directed otherwise by the payer. There are no breast biopsy procedure codes for mammographic- or CT-guided procedures, and payer guidelines should be consulted prior to code submission if these services are performed. One option for CT-guided procedures would be to assign 19499 and 77012. If your facility performs these procedures, watch for additional coding guidance and consult your payer policies. • placement of fiducial markers. Unlike the biopsy codes just reviewed, there are codes for mammographic-guided localization procedures. Like biopsy codes, the localization codes are assigned per lesion; therefore, the codes include the placement of one or more devices for a single lesion. For example, the placement of two bracketing needles around a single lesion is assigned as one localization device placement. By code definition, all imaging is included and should not be reported separately. In the rare instance where clip removal is performed as a stand-alone procedure, it should be reported with the unlisted code 19499 since there isn’t a specific code for this procedure. If localization devices are placed in multiple lesions in the same breast using the same imaging modality, the first lesion is reported with the base code, and each additional lesion is reported using the add-on code. If two localization placements are performed using different imaging modalities, whether in the same or opposite breast, two base codes are assigned, one for each modality utilized. The add-on codes may be assigned only when the same modality is utilized for separate and distinct localizations in the same breast. For example, procedure codes 19281 and 19282 would be assigned if preoperative placement of needle localization wires in two lesions in the left breast under mammographic guidance is performed. To demonstrate that two modalities are utilized, one under stereotactic guidance and one under ultrasound guidance, procedure code 19283 would be assigned for the stereotactic placement and 19285 for the ultrasound-guided placement. The localization codes are unilateral by designation, so if bilateral procedures are performed, modifier 50 should be assigned unless directed otherwise by your payer. • the base code for stereotactic device placement bundles the base code for mammography guidance. Note that the NCCI bundles these localization codes into the fine-needle aspiration codes (10021 and 10022) instead of the other way around. Since only one type of imaging may be assigned for each lesion/localization procedure, the base codes bundle as indicated above so that only the highest modality should be reported. These edits can be bypassed if separate and distinct lesions are being treated; therefore, modifier 59 should be appended in this situation. For the second example listed above, modifier 59 should be appended to the stereotactic-guided code 19283 to indicate that a separate and distinct localization procedure occurred from the ultrasound-guided procedure. In this manual, many policies are described utilizing the term ‘physician.’ Unless indicated differently the usage of this term does not restrict the policies to physicians only but applies to all practitioners, hospitals, providers, or suppliers eligible to bill the relevant HCPCS/CPT codes pursuant to applicable portions of the Social Security Act (SSA) of 1965, the Code of Federal Regulations (CFR), and Medicare rules. In some sections of this manual, the term ‘physician’ would not include some of these entities because specific rules do not apply to them. For example, anesthesia rules and global surgery rules do not apply to hospitals. • The facility can always report mammograms that are performed following an ultrasound- or MR-guided procedure. • For stereotactic procedures, the facility can code for the postprocedure mammogram only if the patient is moved to a dedicated mammography unit. If the postprocedure exam is performed on the stereotactic table, it is not separately reportable. • Mammograms performed following a mammographically guided procedure are always considered to be included in the mammographic guidance and should not be coded separately. The rules for the radiologist’s service (professional component) are the same as those for the facility, with one exception. If a surgeon performs the breast procedure rather than a radiologist, the radiologist can report a code for interpreting the postprocedure mammogram, regardless of what imaging modality the surgeon used. In the nonhospital setting, there must be an order for the postprocedure mammogram from the patient’s treating physician. Also, the Mammography Quality Standards Act requires the facility to notify the patient about the results of any diagnostic mammogram, including one performed following a procedure. While the new bundled codes simplified the coding process in some respects, new challenges were created that are causing some real billing quandaries for some organizations and practices. It is necessary learn how to handle situations where the radiologist performs the imaging guidance but not the biopsy and how to bill for breast biopsies in independent diagnostic testing facilities. 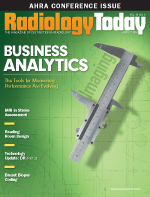 The issue of imaging only was addressed in the spring 2014 edition of Clinical Examples in Radiology, which is published jointly by the ACR and the AMA. Per that publication, one physician can report the new biopsy codes. The issue states that “only a single provider (NPI) can be reported on the CMS-1500 claim form and submitted to the carrier. Per the claim form instructions, the physician submitting the 1500 form certifies that he or she performed the entire service.” These imaging-only arrangements need to be reevaluated to address all clinical and reimbursement concerns. Previously independent diagnostic testing facilities could bill for the imaging guidance of percutaneous breast procedures, but most contractors will not permit them to bill for the new comprehensive codes. Currently, there is no authoritative guidance from the CMS to address this problem. This is another key issue that must be evaluated by competent health care regulatory counsel to ensure that all contracts and arrangements are appropriate and compliant. Every year brings new codes and thus new coding and billing challenges. New guidelines, edits, and policies constantly are being introduced, so it’s critical that someone within your organization has the task of staying abreast of the latest information so that you can ensure that your organization is compliant and appropriately obtaining the reimbursement it deserves. CPT® is a registered trademark of the American Medical Association. CPT® five digit codes, nomenclature, and other data are copyright 2013 American Medical Association. All Rights Reserved.